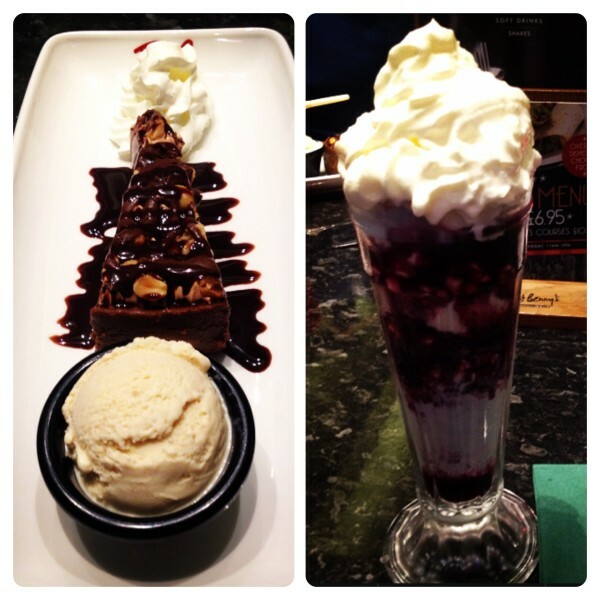 We are fans of Frankie & Benny’s and their delicious dishes, we have been several times, including a few review visits to try Frankie & Benny’s New Specials Menu, Frankie & Benny’s New Food Menu and Frankie & Benny’s New Cocktail Menu. This time, we were invited to Frankie & Benny’s at the London Designer Outlet in Wembley to try their new menu. The new menu is a mixture of tasty new dishes and old favourites, Mamma’s Cheese Bake is back on the menu while New Jersey Chicken is a brand new addition. Hubby tried New Jersey Chicken (RRP £14.95), a whole fresh chicken breast topped with crispy bacon and pulled pork, smothered in Frankie & Benny’s famous BBQ and jalapeño cheese sauces. New Jersey Chicken was served with spicy onion rings, corn on the cob, coleslaw and a choice of house fries, salad or a jacket. Hubby asked for fries and he was impressed with the flavours of the dish! 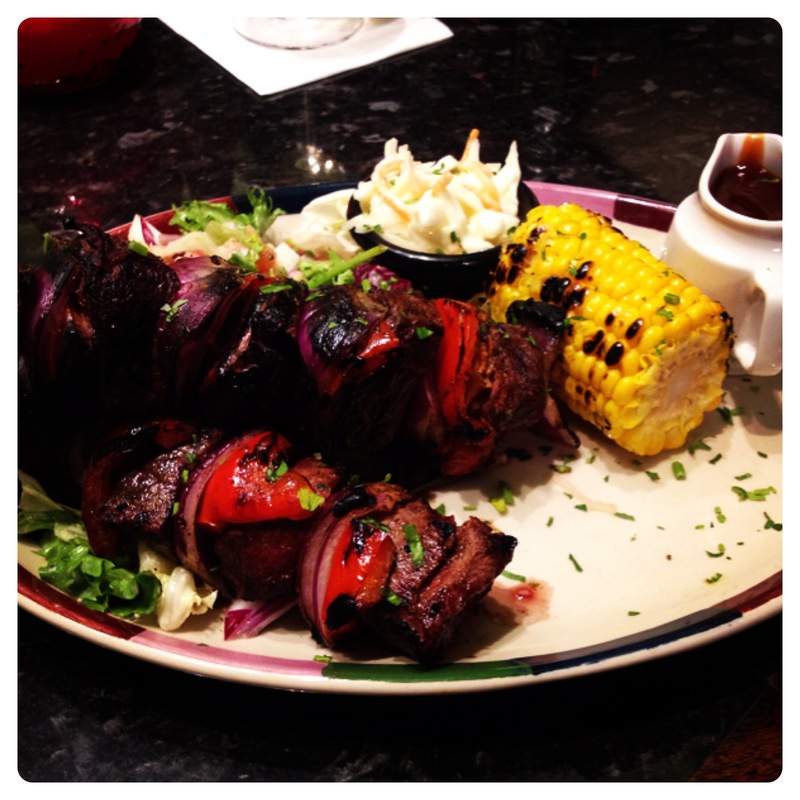 I wanted to try Blackened Steak Skewers (RRP £14.95), a freshly prepared Flat Iron steak, cubed and marinated in Cajun seasoning, skewered with slices of red pepper and red onion. It is served with corn, coleslaw, fries and a jug of BBQ sauce on the side. I spoke to the friendly waiter Rhys and asked to have salad instead of fries, and for the steak to be cooked medium, without too much Cajun seasoning. When my Blackened Steak Skewers arrived, I couldn’t believe how big it was, a very generous portion of meat, cooked and seasoned to perfection. I really enjoyed my meal, and even shared some with hubby – I might have tried his meal too! 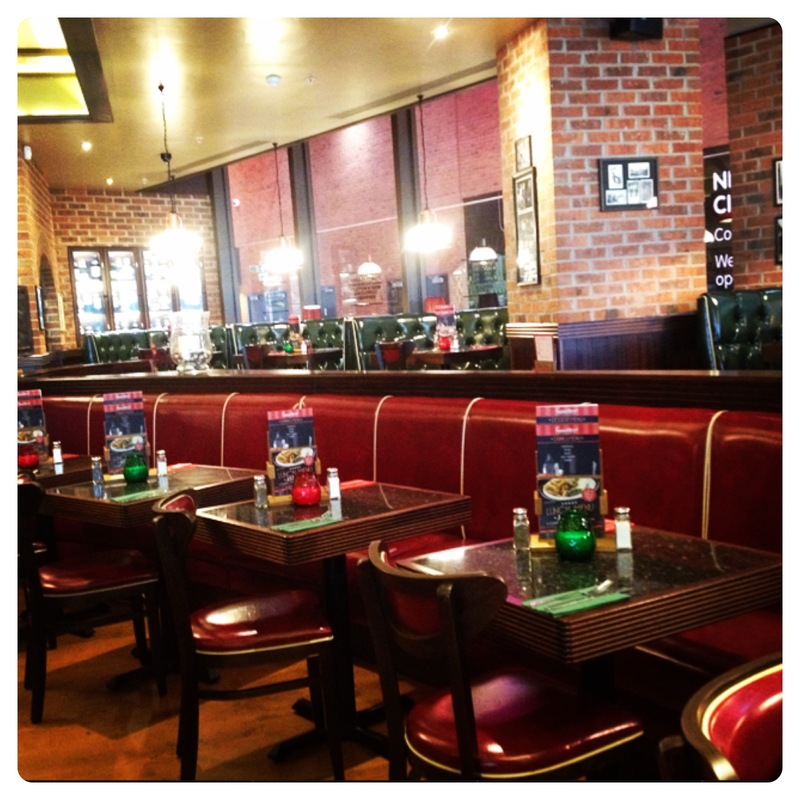 One of the reasons we love going to Frankie & Benny’s is because they are child-friendly and an idea restaurant for a relaxed family meal. The kids activity pack with games and puzzles kept little man entertained while he was waiting for his meal, and until we finished our meal. There are menus for kids up to the age of 11, starting from just £4.25 for a main course, a dessert and refillable soft drinks. 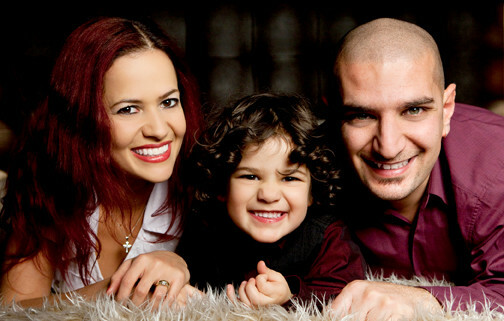 All children’s meals come with an optional side of vegetables, side salad or Heinz baked beans, and free apples. Little man usually orders for fish fingers, but this time he wanted to try Margherita Pizza, an individual pizza baked to order with melted mozzarella on a tomato sauce base, served with broccoli, peas and sweetcorn. When we saw the pizza, we thought it was big and little man wouldn’t be able to finish it, but the crust is very thin and light – perfect for children and small hands. After our tasty meal, we all enjoyed a sweet treat, our waiter suggested that we should try peanut butter and blueberry ice creams, both recently added to the menu. We were given a sample of each ice cream and loved it so much that we ordered a dessert with them. Hubby ordered Eli’s Peanut Butter Cheesecake (RRP £5.95), a gorgeous nutty indulgence. The peanut butter cheesecake is topped with more peanuts and drizzled with dark chocolate sauce, served with peanut butter ice cream. It is rich and full of flavour! I ordered a summery Blueberry Eton Mess (RRP £5.45), layers upon layers of vanilla and blueberry ice cream, meringue and blueberry sauce, topped with whipped cream. I loved every spoonful! Little man tried an Ice Cream Sundae as part of his Kids’ Meal, with vanilla and strawberry ice cream, topped with Milkybar buttons and a wafer biscuit. He really liked his sweet treat! 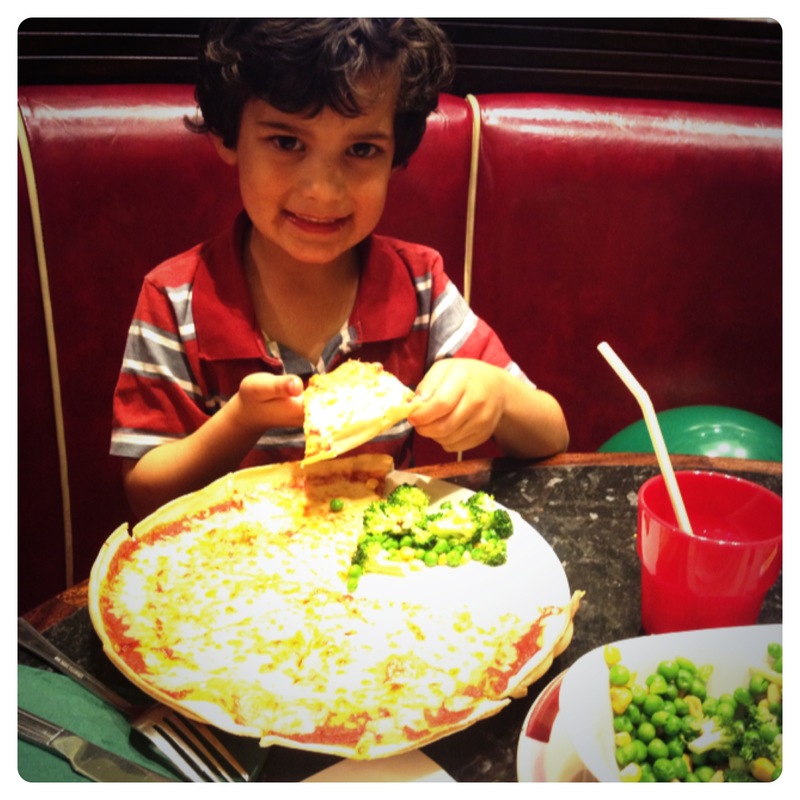 Overall, we thoroughly enjoyed another visit to Frankie & Benny’s, the new menu is great with so many options, we can’t wait to dine again at F&B and try other items from the new menu. If you are unsure which dishes to order, I would recommend speaking to your waiter. We were invited to visit Frankie & Benny’s free of charge, however the opinions expressed in this review are honest and my own. 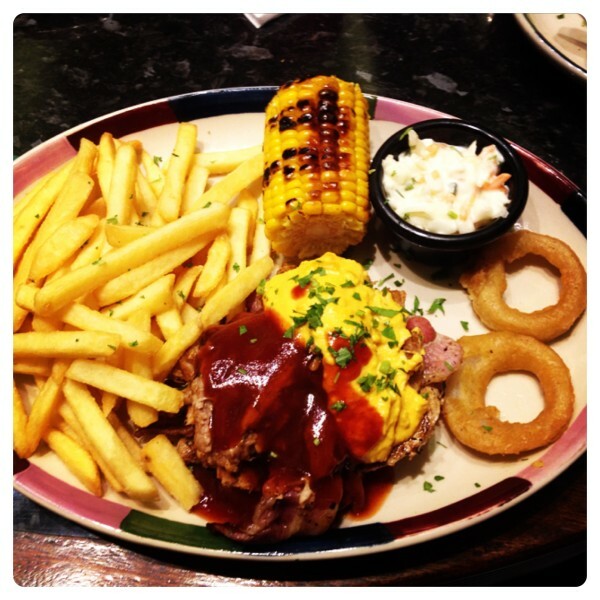 10 Responses to "Family Meal at Frankie & Benny’s Trying New Menu #frankiesfav"
Yum 🙂 Love Frankie and Bennys. The Peanut Butter Cheesecake looks fab! Haven’t been to a Frankie and Bennys for ages. I have never been to a Frankie and Benny’s but am always looking out for new places to take the grandchildren to. It is really helpful having you go into so much detail and with photographs so I feel like I know what to expect now. All the food is so delicious at F&B’s. I find that it has to be an occasional treat as you can come out spending quite a bit but it is always worth it.